A weekend in the capital of Epirus promises walks by the lake, museums and unique sites. Finally, Ioannina is closer to Athens than ever before. Let’s begin by stating the obvious: Ioannina is one of the most enchanting cities in Greece – beautiful and brimming with history, built on the shores of Pamvotida Lake which features a gorgeous promenade running by the water’s edge and an island at its center, complete with historic monasteries. Ioannina’s castle, with the famous southeastern citadel of Its Kale, and the stories of the colorful Ottoman ruler Ali Pasha (1740-1822) who ruled the city for 34 years before being executed by the Ottoman central government, help define the city’s unique atmosphere. 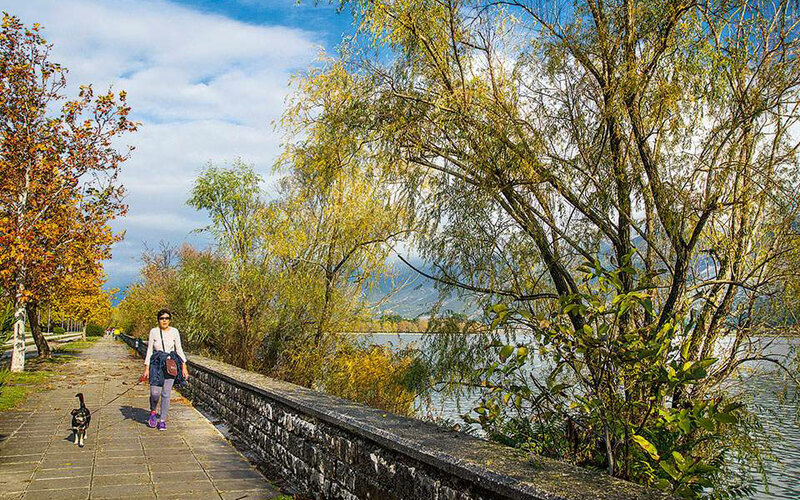 A walk by the Ioannina Lake is beautiful all year round. Add to that the energy of a town of 65,000 permanent residents as well as 15,000 students, and you have a truly vibrant and magical place with no shortages of things to see and do. The historical center is strictly pedestrian and full of hip gathering spots and restaurants, various sites and museums. In the winter the humidity and fog that swallow the town leave impressions that last a lifetime. 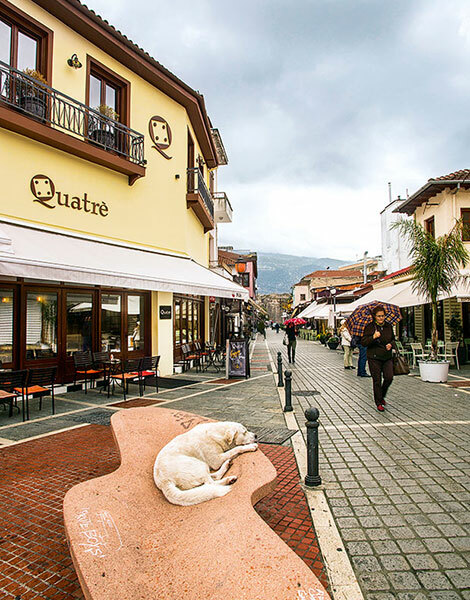 Ioannina is the capital of Epirus, and a much-loved city among the Greeks, but it has always been too lengthy a drive from Athens and Thessaloniki to make it popular as a weekend destination. Thankfully, the construction of new motorways has changed that. Now only a 3-4 hour drive (by Egnatia Motorway from Thessaloniki, and Motorway 5 from Athens), it is a perfect place for a two-day getaway by car. Below is our guide of how to make the most of your time in the city. Start your days in Ioannina with bougatsa pastries filled with custard or cheese. Select, on Averof Street, is a popular choice, but others in the same area have many fans as well. The best place for a walk in Ioannina is by Pamvotida Lake which, if you’re out early during winter, is usually covered in a blanket of fog. 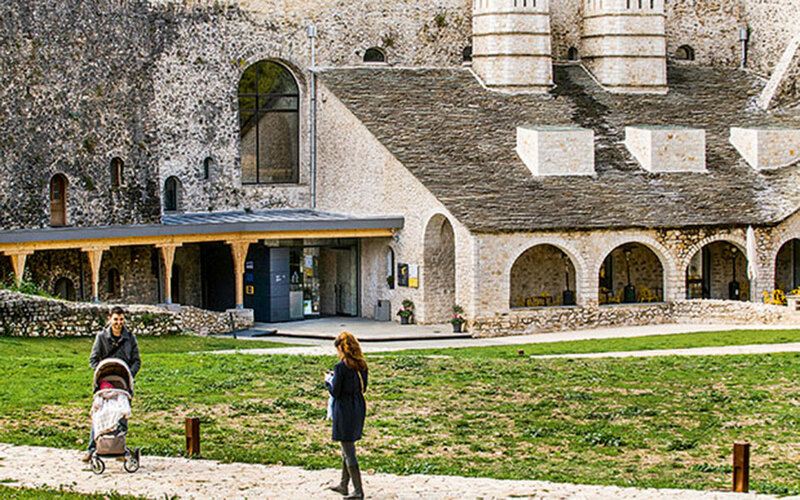 Start from Mavili square, and follow the castle walls towards the Katsika neighborhood. No traffic will ruin your walk, as only a cycle path and a pedestrian street run beside the walls for almost 7 kilometers. Your only company will be ducks and seagulls, grandparents on outings with their grandchildren, cyclists and fishermen. From the end of January, automated bicycle rental will be available in several locations: Zosimea Library, Mavili Square, Alsos, and Pyrrou Square. The streets of the new and the old markets have been pedestrianized, and the old Jewish stoas (arcades) and buildings now house meze restaurants and bars (meze being Greece’s version of tapas). The alleys around Anexartisias Street are full of hidden gems. Charming mementos in the form of t-shirts, cups, magnets that portray the sites in contemporary ways, handmade jewelry, and much more, are best bought at Grigoris Karagiannis and Katerina Papila’s store Pagouri (named after the Greek nickname for people from Ioannina – Pagourades). Meanwhile for excellent local products such as pasta from Metsovo, tsipouro and cheese, head to Bouba. 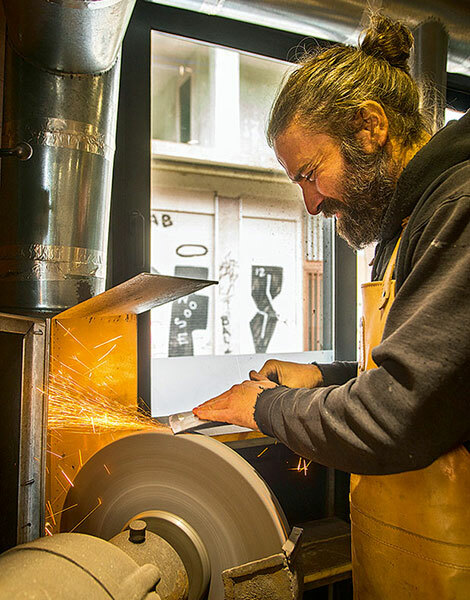 While you’re here, don’t miss your chance to visit the store of Telis Ioannina, a historic knife workshop that dates back to 1933. It’s a family business, now run by third-generation knife-maker Rania Piteli and her husband Vangelis, and they cater to both tourists as well as chefs who opt to buy their high-quality knives here. 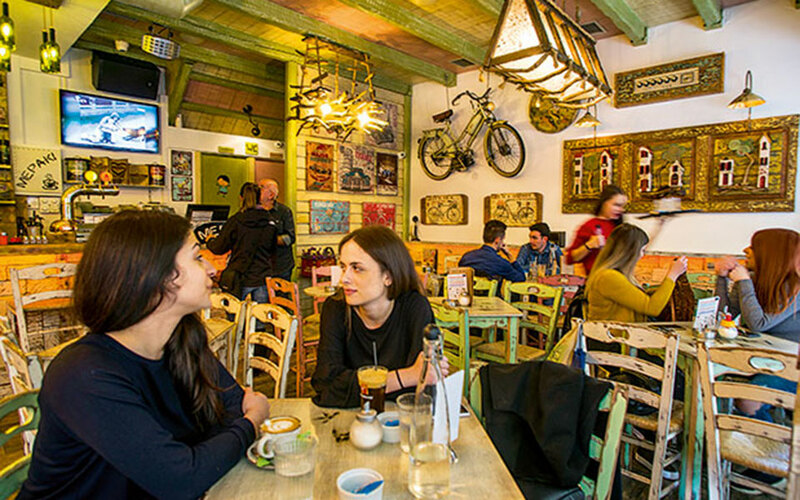 Ioannina is full of all-day establishments that work as cafes, restaurants, and bars all in one, and which are full of people at all hours of every day. Even those that don’t offer a dedicated food menu serve generous meze when you order a tsipouro, a beer or a glass of wine. Maison, with food by renowned chef Dimitris Skarmoutsos and desserts by Dionysis Alertas, is a good choice for a bite. So is Meraki, an artistic and unique restaurant which stands out from its more mainstream neighbors. Here, handmade objects by the owner Kostas Vletsas decorate the space, and the home-style meze dishes go well with drinks. The boat to the little island in the center of Pamvotida Lake takes less than 15 minutes, but you’ll wish the trip was longer. The city melts away as you get a perfect view of the Aslan Pasha mosque, and unless the captain is blasting music on his cassette player, the serenity of the lake is mesmerizing. On the island, the tourist-filled tavernas serve their specialties of frog legs, and eel cooked on ceramic roof tiles (yes, you read both of those right). Pass the restaurants, and walk along the cobbled central street between the souvenir shops which leads to the Saint Panteleimon monastery. On your way you’ll find the Museum of Ali Pasha and Revolutionary Era. This is where the ruler hid from his enemies before he was found and beheaded. The museum hosts impressive exhibits including some of Ali Pasha’s personal belongings, such as his rifle and his pipe. The historic events of Ioannina are presented to the sound of evocative music. To get the full experience, stay away from the tourist-beaten path, and take the serene nature walk around the island which leads to its monasteries. They were built by the upstanding families from Constantinople who inhabited the island in the 13th century. 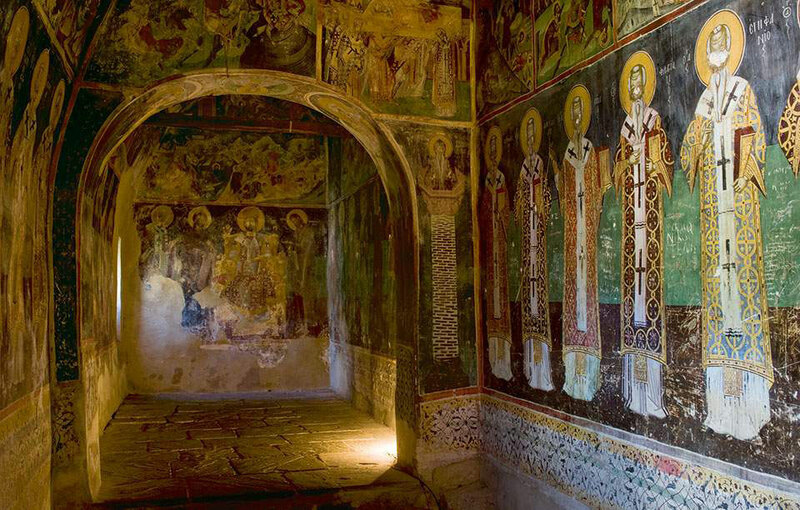 The monastery of Saint Nicholas Philanthropinon, which served as the first school of the region of Epirus, is open to visitors, and features a beautiful mural of some of the wise men and philosophers of ancient Greece (Aristotle, Plutarch, Thucydides, and Plato, among others). Presveia, which was opened just a year and a half ago by a group of young partners, has already managed to build a solid reputation. It is housed in a beautiful and atmospheric two-story building, and features an inventive menu with incredible salads, pasta, and meat dishes. Notable are the beef fillet with sweet potato puree, the tasty risotto, the beef with aubergine puree, the various dipping sauces for the fries, and the nice desserts. For something on-the-go that doesn’t lack either in flavor or quality, look for the trendiest food truck in town: Vromiara. Despite it’s name (which plays on the Greek name for street food, which means “dirty”) it is definitely clean, and uses cooking techniques rarely seen in this type of eatery anywhere in the country. Tucked away on the little street of Gorgoli, off Zappa Street, it serves sous vide cooked meat and freshly-made sauces such as sundried tomato pesto, red pepper, feta with parsley and others. Try the marinated pancetta that takes 88 hours to prepare, or the popular sausage with lemongrass and ginger. That Vaggelis Pakios’ bar Blue Gin has a special something is apparent both from the décor, and from the eclectic funk, soul, and rock tunes playing. The cocktails here pay tribute to local spirits, like tsipouro, and other Greek products such as marmalades from Zagori, and are named after various – untranslatable – local phrases. Try the “Pame zvara” with liqueur made with Cornelian cherries (similar in flavor to cranberries), orange, and citrus marmalade, or the “Oui” with aged tsipouro made from local Debina grapes, and raspberry marmalade from Metsovo. 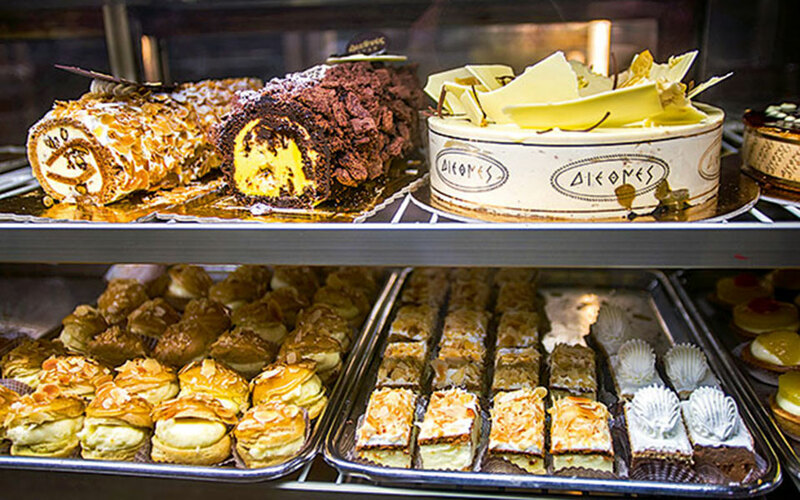 Pastry shop Diethnes is famous for its baklava, but the other desserts are just as delicious. While you’re probably stuffed from having a large breakfast at the hotel, you should not miss out on trying some of Ioannina’s famous sweets. 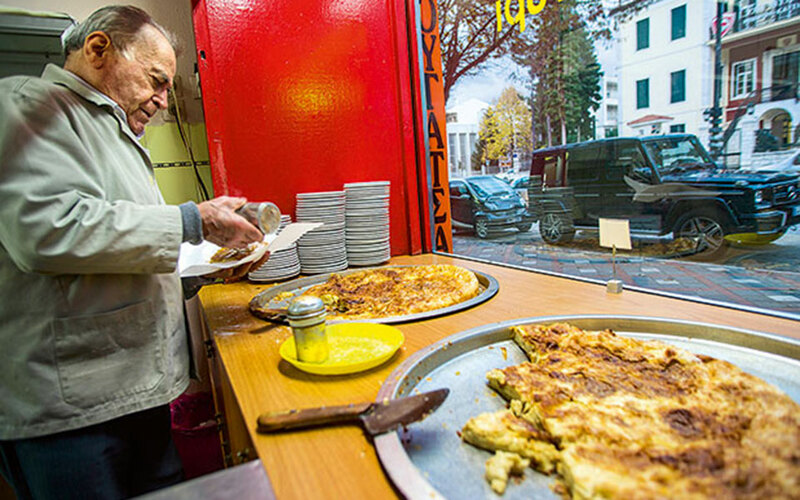 If you can’t eat yet, buy some to take home from the popular pastry shop Diethnes (where the baklava is a must), or Motley (which is famous for their mille feuille, but also make delicious waffles and more). Locals insist that a visit to the latter, where you can enjoy your choice of sweet on the gorgeous covered patio, is a must. The Archeological Museum of Ioannina, with its collection of artifacts from Epirus dating from as far back as the Paleolithic up to Roman times, is well-worth a visit. Especially interesting is the room that contains the finds from the temple at the archeological site of Dodona, the oldest oracle of Greece, which is located just 25 kilometers from Ioannina. To learn all about the more recent history of Ioannina, and Greece, a visit to the Pavlos Vrellis Museum of Greek History (Wax Effigies) just outside town is a must. Head to Perama, about 4 kilometers from Ioannina, and explore the amazing world that unfolds within one of the most impressive caves of the Balkans. The 14,800 sq m cave (with 1,100 sq m open to the public – about a 45 min walk) features impressive stalagmites and stalagtites, shaped over 1.5 million years. Archeological Museum: Open Tuesday-Sunday, 08.00-15.00. 25th March Square 6, www.amio.gr, tel. 26510-01089. While in Perama, take a break and have a bite at the unique little restaurant named Filemata, which serves tasty meze dishes. Or, visit Gastra in nearby Eleousa for pies and excellent meat that is grilled or cooked in special pans on trivets over the fire. 15.00 A stroll within the castle walls Inside the castle walls, the only cars allowed are those belonging to residents. Take a stroll between the mixture of little houses built from stone, wood and brick, and follow Prokopiou Istorikou Street where you’ll come across the Jewish synagogue, the Serai Soufari (Ali Pasha’s Cavalry School, which now serves as an exhibition space, and hosts the Historical Archive of Epirus), the Ottoman library and the Byzantine baths (hammam). Finally you’ll reach the amazing Aslan Pasha Mosque building, which today houses the Municipal Ethnographic Museum of Ioannina. 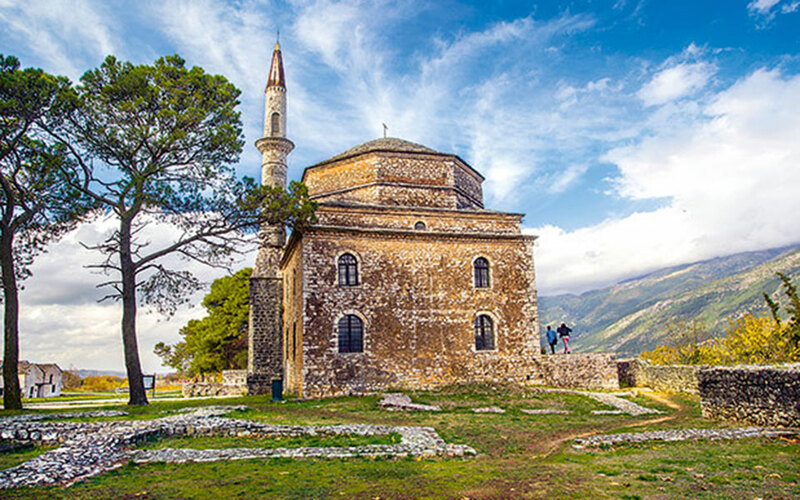 Here you’ll learn about the ways of life of the Christians, Jews, and Muslims who harmoniously shared the city of Ioannina, and made it one of the most important spiritual, and commercial centers of pre-revolution Greece. Before the museums close, hurry on to the Its Kale citadel. In its center you’ll find the harem of Ali Pasha, the leader from Tepeleni in Albania who ruled the city for 34 years. If there are not many visitors, you’ll enjoy a serene walk here, to the sound of birds chirping. The Fethiye Mosque and Ali Pasha’s tomb below the ornate iron railing balustrade make for an especially impressive sight. Go through the mosque to the harem, where you’ll find the small Byzantine Museum. On the west bastion, you’ll find the new must-visit museum in the city, the Silversmithing Museum, run by the Piraeus Bank Group Cultural Foundation, which has made the walk through Its Kale even more interesting. 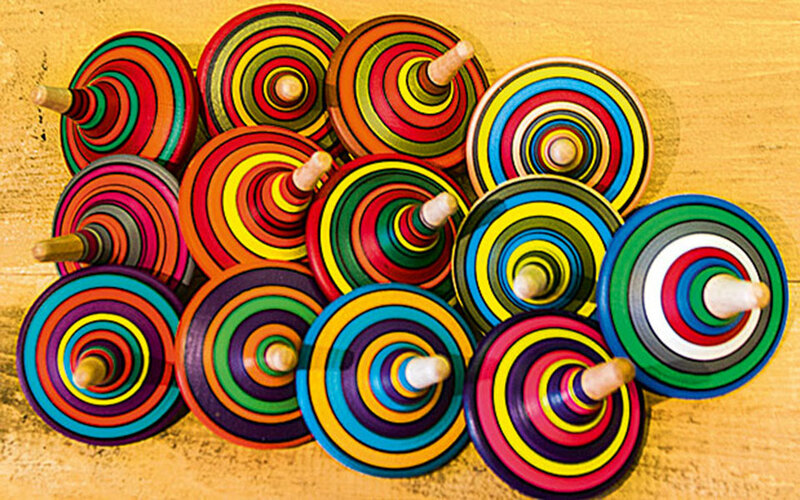 The museum presents the history and techniques of the craft that brought wealth to Ioannina from the late Byzantine period onwards. The tour over the two floors of the museum is set to the sounds of working metal. Possibly the most impressive room is the one displaying works from the 18th to the 20th century – incredibly artful pieces of weaponry, jewelry, as well as everyday items. Finally, you’ll see works by modern silversmiths from the Center of Traditional Handcrafts of Ioannina and the Association of Ioannina Silversmiths. Before your leave, have a coffee in the pretty courtyard of the museum, or enjoy an herbal drink at Chevalier, next to the St. George Gate. 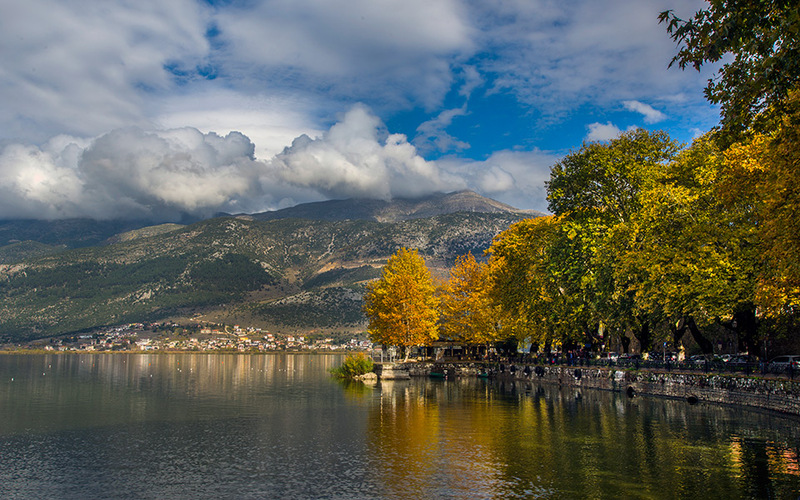 Ioannina is about 400 kilometers from Athens via the brand new Motorway 5, and the drive takes less than 4 hours. For a round trip, petrol and tolls come to about 180 euros. The town is about 260 kilometers from Thessaloniki via the Egnatia Motorway, and the cost is around 60 euros. Boutique hotels and city hotels are the new trendy places to stay in Ioannina. Many new ones have opened in the last few years, bringing unique hospitality to the center of the city. 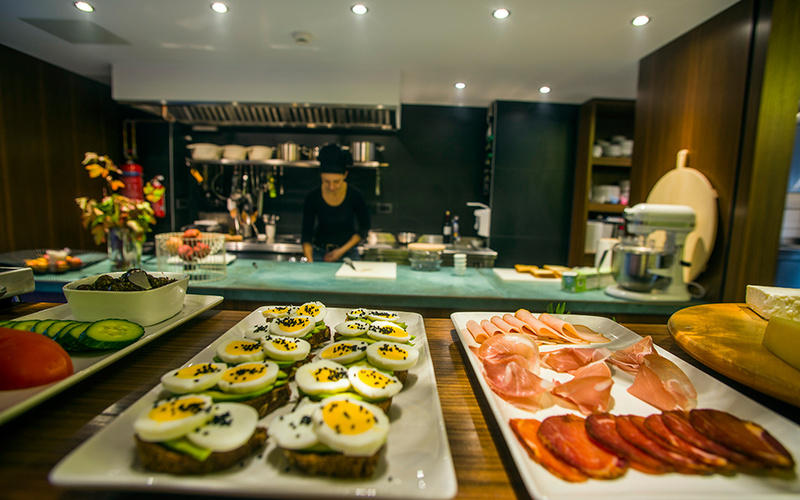 The focus of these hotels is mainly on quality accommodations and breakfasts made with local products. We recommend them as they provide the perfect starting point for your walks through the city. The only problem with these hotels is the lack of parking spaces. They also fill up quickly lately, as a result of the city’s new accessibility, and they’re often fully-booked on weekends, so make sure you book your rooms well in time. To avoid the parking issue, stay at Lake Spirit, which is not located in the historical center. It’s a brand new city hotel with 10 rooms, a café-bistro which will soon be open to non-guests as well, an event room for up to 50 people, a small gym, and a well-being area with sauna, jacuzzi, and massage therapy treatments. We recommend it for the hospitality of the owners, Nikos and Nora Tsoga, the delicious breakfast, the comfortable and light-filled rooms decorated in earth colors and with quality beds and linens by COCO-MAT. Other hotels worth checking out are Antique, featuring charming rooms decorated with beautiful art in a 150-year-old neoclassical building, the Its Kale Hotel, just below the acropolis within the castle walls, and Z Hotel, which has its own café-bistro. If you prefer the comforts of a larger hotel, your best choice is Du Lac. Lake Spirit: 3A Chatzi Pelleren, tel. 26510.25250, www.lakespirit.gr. From 80 euro with breakfast. Z Hotel: 2 Zalokosta and 39 Garivalidi, tel. 26510.25087, www.zhotel.gr. From 65 euro.